I like to eat Pepperoni Pizza. I eat it with more vigor and more frequency than any other foodstuff in the cosmos. It is a raging passion of mine. 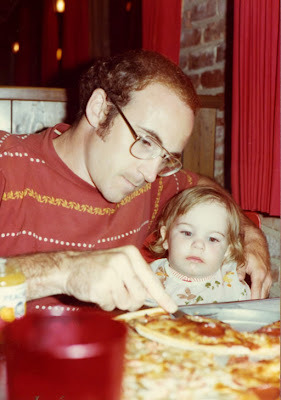 I was schooled in the art of pizza enjoyment at a very young age. My classroom was a place— a hut actually, designated solely for pizza eating. It was called the Pizza Hut. Here I receive instruction from my dad in 1974. My extensive lessons taught me that the pizza eating environment is a key factor (yet often overlooked) in a fruitful dining experience. In its heyday, our Pizza Hut adhered to the same decorating trends that were prevalent throughout the nation's pizzerias. These surroundings made pizza consumption feel like a primal ritual. 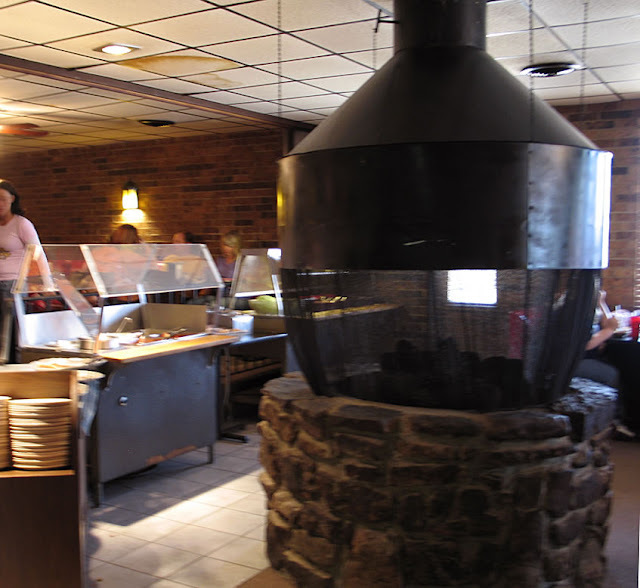 The eateries were cave-like; low lit dens, often arranged around a central fireplace, where families could gather and feed on their pizza wheel peacefully and free from the threat of predators. 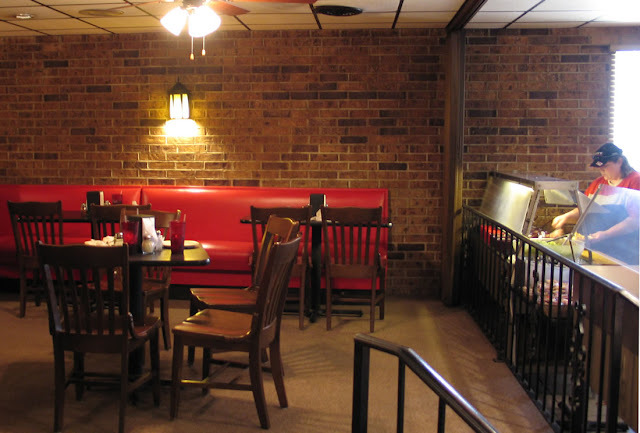 Engirdling walls of brick and wood paneling further provided a sense of security and comfort. 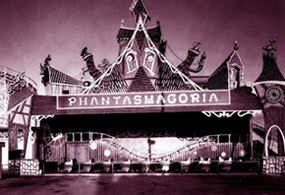 This kind of atmosphere has grown scarce in these days of the chilly, florescent carry-out lobby where those forced to dine-in are silently pitied by the eternal line of customers. Before you cry "ex-Pizza Hut!" I'm told by several reliable sources that this place has always been a "Parlour" since its construction in 1980. The primary corridor offers glimpses of the dining hall through blanks in the brickwork pattern. Transversely, the wall of textured plexiglass struggles to keep the legions of pre-assembled pizza boxes at bay. Next we stroll past the universal sizing chart and the all-important pizza incubators. The chef reappears to proclaim a solitary commandment. There's that soothing wood paneling, and note the stack of red cups to the left. These are the archetypal fountain drink tumblers for the ideal pizza meal; perfect in size, texture, and color. 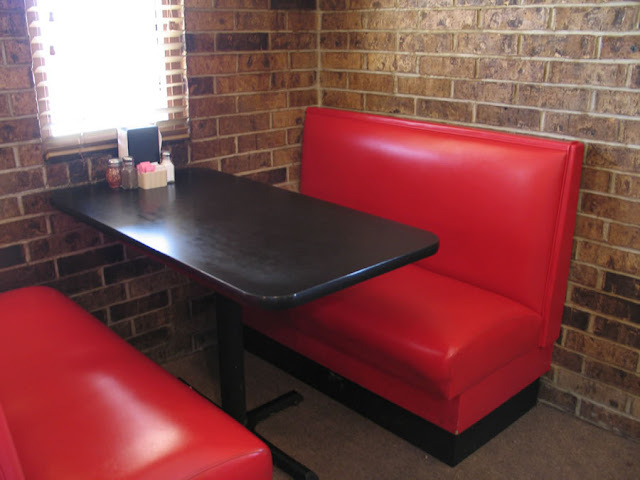 The booth is essential to a complete pizza experience. Pizza Parlour gets bonus points for the hunger-inducing red vinyl, and note that there are no unsightly rips. Nothing is as unappetizing as a booth gash spilling over with dirty flakes of foam cushion (and the coinciding saggy seat). Some places dare to aid this with a grotesque patchwork of tape which inevitably peels at the edges leaving gray, sticky residue on your pants. This is equally offensive. The only thing I would add to the setting above is a standard red and white checkered tablecloth and one of those candles in bulbous colored glass, wrapped in plastic netting. Yes, there is a monstrous stonewall fire pit with a wraparound chainmail screen. These two glass boxes sport a variant of the excellent logo and somehow rotate in perfect unison. In a brilliant move, the sides alternate between the name and the hungry chef. But of course, all of this is meaningless without good pizza. Well, the pizza at Pizza Parlour (and I can only speak on behalf of the Pepperoni because that's all I care about) was just right. Crisp crust and ample, tasty toppings. Simple as that. Somehow the cuisine even possessed a "classic" sensibility to it. I was reminded of the pizza of my childhood. And equally pleasant was our friendly and ever-present waitress. Completely satisfied, I proceeded to the checkout counter. When the cashier announced my total I attempted to correct her. "Oh, I had a drink with that too." The drink, my Diet Coke with multiple refills, was included in the price of the all-I-could-eat buffet of tasty pepperoni pizza in the comfy vinyl booth. So did you catch that buffet price on the sign in the earlier photo? 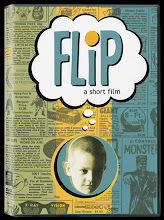 Five dollars, forty-six cents. I hope you're reading this Pizza Parlour; you are a wonder of the modern pizza world. My sole suggestion is that you should consider replacing those water stained ceiling tiles. Better yet, swap 'em all out for black ones, but such things are petty on a full belly of delicious, inexpensive pizza goodness. Thanks Pizza Parlour for embracing the essence of American pizza. Nice one Kirk. That sign...it's funny how even the cheesiest (sorry) of old "pizza chef" illustrations can still be a pleasure to see. Re: the pizza - Have you ever been to NYC? REAL pizza, my friend...the only real American pizza. (Disclaimer: Uh, none.) Oh! IMHO. There is nothing quite like the perfect dining experience, especially when it isn't 'upscale'; table candles not withstanding. Hey, you were down here in my stomping grounds! I like Pizza Parlour a lot, too. Their sauce is spicier than others and I love the atmosphere as much as you do. There's also a PP in Van Buren as well. PP reminds me of the Shakee's Pizza I used to visit as a kid in Tulsa. That place was iconic to my brother & myself. This wonderful post brings up so many fond memories of my own, pizza-laden youth. Thanks for the great peek into the Parlour. I miss grand fireplaces. 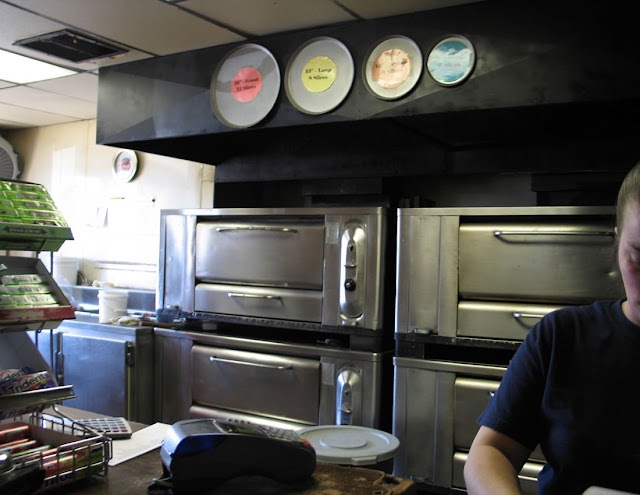 As a pizza-store kid — my parents owned Babe's Pizza in Brandon, Fla., for five years — (I know, you can barely imagine that; what would you do with delicious pizza at your beck and call?) I confirm your dining experience as extraordinary. We would've never allowed the buffet, much less for $5.46! The Pizza Parlour in Alma, I believe, has sadly removed their fireplace. I remember as a kid going there when they had quarter-operated black and white mini TV sets at each booth. They still have a jukebox though...that's a plus. 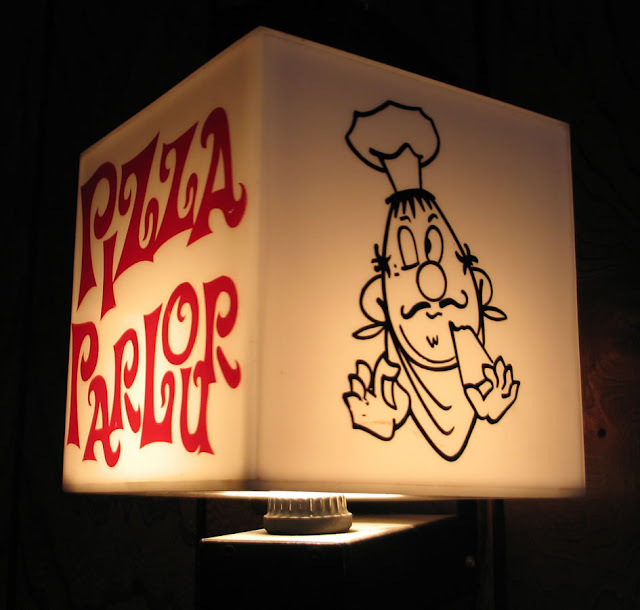 I've always wondered if Pizza Parlour had some sort of franchise-wide mandate that any jukebox in their restaurants had to have "You Shook Me All Night Long" by AC/DC. Good thin crust pizza. Good buffet! Oh - serendipity! After my early morning reading of this post, I've been hankering for pizza all day. Now, I get a call from some friends to return to the PIZZA BUFFET. What luck? How can I say no? I don't know how I managed to do this without living on another planet, but I completely missed out on any kind of pizza-eating experience until I was well into my twenties. We were strictly a McDonalds family,I'm sorry to say. 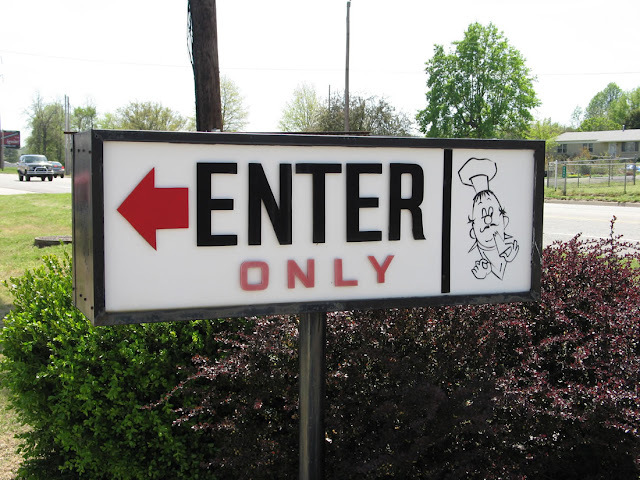 But I've always enjoyed the illustrations of winking chefs making the OK sign with one hand that these places often have. Usually the chef's gaze would be in the direction of the viewer, but the guy in your photos seems more intent on communicating his pride and satisfaction to the slice he's eating. It reminds me of the brief love affairs that Homer Simpson has with his food. That must be some good pizza! Oh how I miss those old days of eating pizza at our local Pizza Hut (we had three of ‘em) and a Godfathers. Many Sundays were spent in those dark buildings enjoying pizza pie! Why oh why did Pizza Hut have to change their look and flavor? Why why why? By the way this place looks great, so thanks for posting about it. This place looks like fun! I love old restaurants. Being from New York State originally, I can say NYC has the best SLICE pizza - the big thin stuff. But the best pizza I've ever had is Dino's Pizza in Burbank CA (a stone's throw away from that Round Table, Mike, at Hollywood Way & Burbank. It used to be a BBQ place in the 50s, so some interesting architecture there too. Man, this place looks right up my alley, and a moustachioed mascot like that is one to seriously be reckoned with. 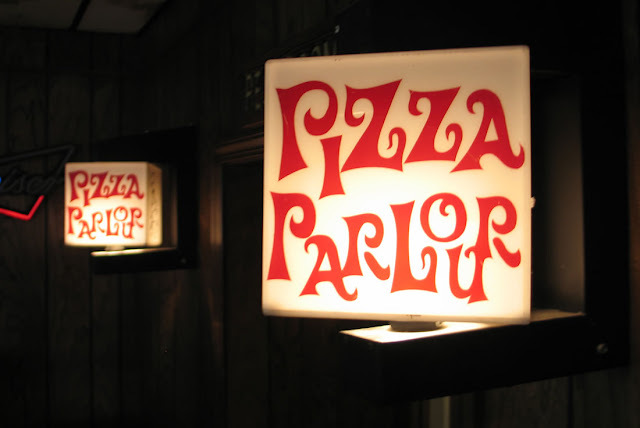 I miss the days of the cool old pizza parlours, or "pizza dens" as you mentioned, darkly lit and cozy, gathered around the firepit, a place dripping with more atmosphere than Doc Strange's Sanctum Sanctorum. 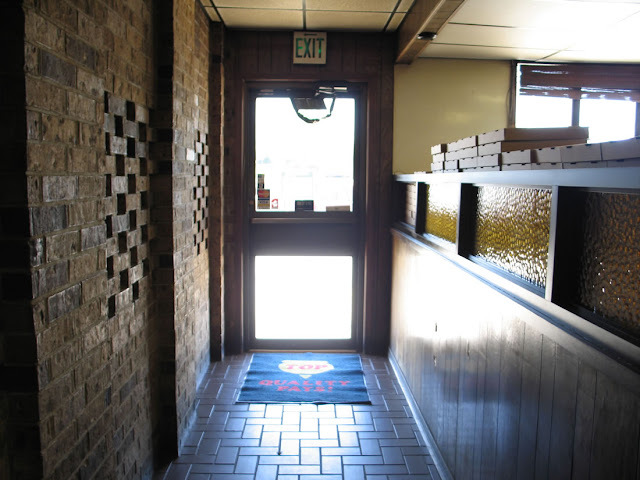 We had a few pie joints here in St Louis in the 70's like Village Pizza and Pizza Inn (both sporting wicked arcades and live music on the weekends too), as well as the independant / family owned basement style pizzarias, but now they're all just slowly dwindling away. I dread the day when all that remains is junk like Dominos or Pappa Johns. I'm also glad to hear you say the pizza had a CRISP CRUST. This is essential to me as well. After living in LA for 10 years and having to put up with floppy greasy thick crust it was great to get back to the St Louis style of extra thin, super crispy style. Of course having provel cheese (a STL original) helps too. I find the idea of folding a slice of pizza in half to eat it absolutely repulsive. Another brilliant post in a long line of brilliance. 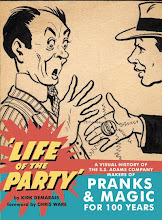 Thanks be to Secret Fun Blog for the vintage 'zah fever! You nailed it, nailed it, nailed it! You described my childhood pizza memories right down to the textured red plastic drinking tumblers. I have some at home just for pizza. Maybe we can round up the Pizza Parlour some Galaxian and Wizard of Wor arcade games (cocktail or upright versions). 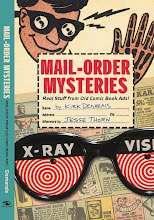 Super, super post. Makes me want to redecorate a corner of my basement along the same lines. Note: After I wrote this post my pizza intake was up about 150% during the following week. frozen charlotte- heh, you're right, that was a very purposeful omission. The number of slices is a)shameful and b) might cause the Parlour to consider upping their price. shawn- thanks. I recall some posts on your site in a similar spirit. I'm right there with you. cjd- I knew there was something special about you. I had no idea you came from such an illustrious heritage. jody- Oh, man, coin-op tv in a pizza booth sounds like perfection. I've never seen such delights. There was another joint near me that played loads of hard rock. Went perfect with the video games and the pizza. 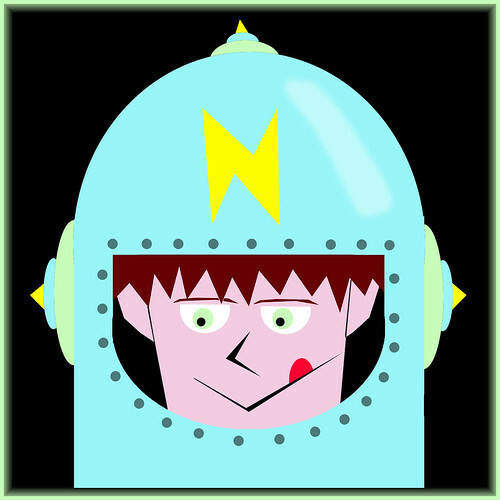 flashfink- well, better late than never, right? I noticed that the chef's eye is also inconsistent from sign to sign. Probably a clue to some hidden pizza treasure hunt. Yes, I love the widespread generic agreeable chefs that are on so many of the take out boxes/bags. 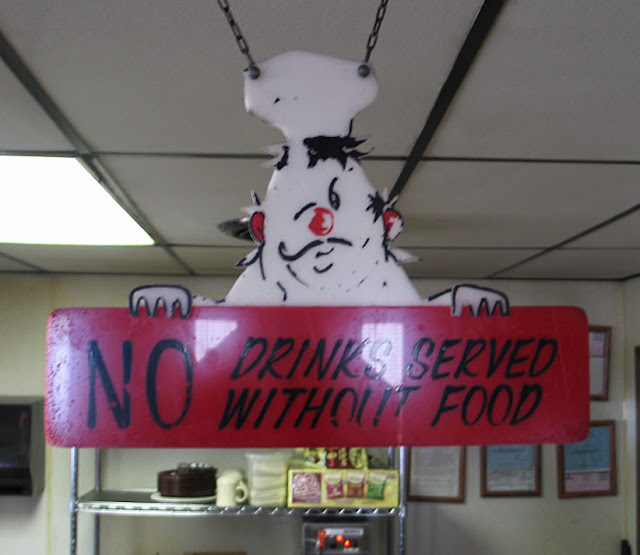 todd- yes, Godfathers was the epitome of this type of place. Sooo dark. lots or wrought iron railing. and sweet video games. fcg- hmmm. dino's is a great name for a pizza joint. Round Table is good too. I need to make a west coast pizza tour at some point. fun blog you have BTW! karswell- I don't know why, but St. Lewis seems like a great pizza town. Pizza Village is another great name. Pizza and the Olde world seem to go well together. love your comments on the folded crust! ha! I'm sensing some sort of "pizza belt" in the nation. joe- you're welcome. All this pizza enthusiasm makes me glad. This topic deserves it's own blog! Brian- you bring up a great point. why don't I own those red tumblers?? Yes, video games could really push the parlour to another level, don't know why that didn't occur to me. I wish I had a basement. This atmosphere would be relatively easy to duplicate. I would never leave. 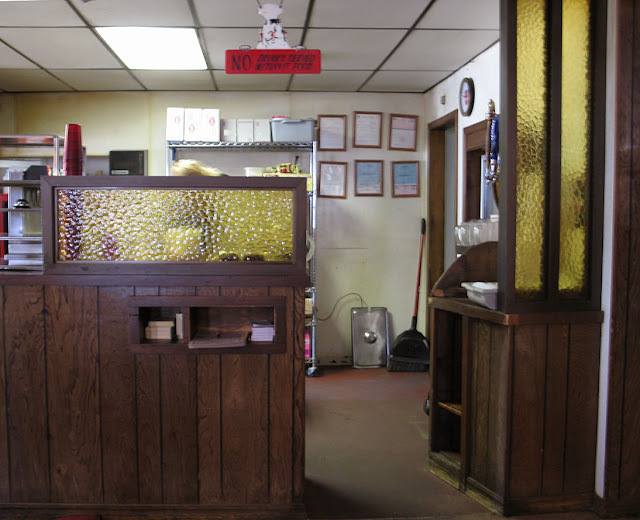 Actually, these pictures are of the Pizza Parlour in VAN BUREN, not Fort Smith, but the two towns are only separated by the Arkansas River, so if you are not from here, you could get that mixed up! 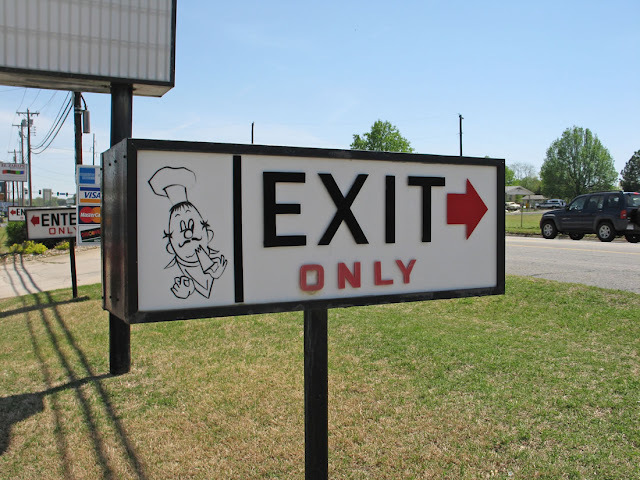 anonymous- I just rechecked with my pizza eating partner (a Van Buren native) and he said the one we visited is indeed the Fort Smith location on Rogers Avenue. In the photo you can see C & H tire right behind the sign, which google maps shows to be right next door. He went on to say that both locations are virtually identical. So it seems the tables have turned my friend. bwa ha haha. Awesome, awesome. I'll be posting my '80s pizza parlour birthday party memories very soon (inspired by your sharing). 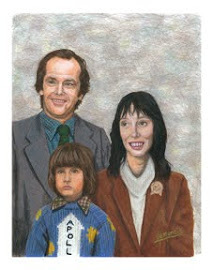 In the meantime, in the spirit of memories, you may want to check out my latest post regarding my 10th birthday party in 1980! Drop by! Great post! Looks like my kind of place, too. 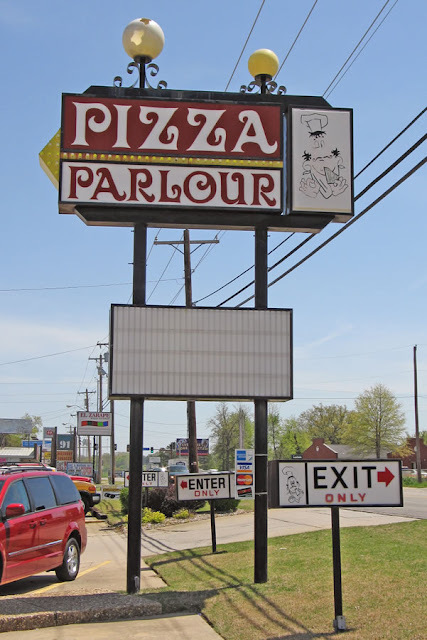 My hometown is van Buren, and now that I don't live there anymore, when I visit my family, I am excited to go to pizza parlour, most of the time I stop there first even before seeing my family.. lol I have grown up eating this pizza and let me tell you it's the best pizza I have ever put in my mouth. I miss it so much. I even con my family into bringing it down with them when they come and see me. Shoot I have even harrassed the owner to bring it to where I live.. lol I know I know lol but you can never get enough of good pizza. Where I live now there is no place like pizza parlour... 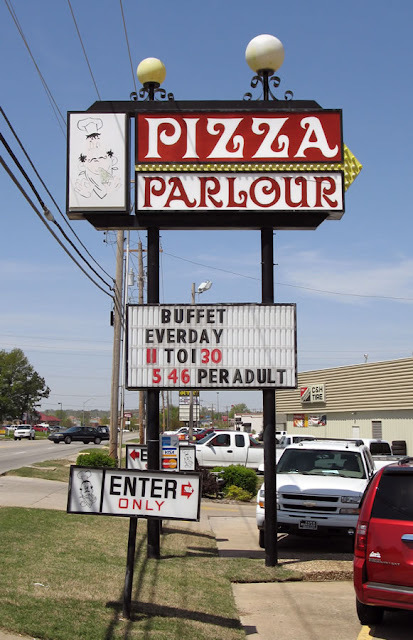 So if you are ever in Van Buren, Fort Smith, or Alma be sure to swing by pizza parlour, you'll be glad that you did. Thanks guys, and thanks for your PP accolades Deedle. "you can never get enough good pizza." amen to that. I'm hoping to try the Alma location soon.